High school football stadiums are a big deal in Texas. A big heavy deal. A big heavy cracking deal. A new $70 million stadium and event center in McKinney is the latest Texas venue to be scandalized by cracking concrete. 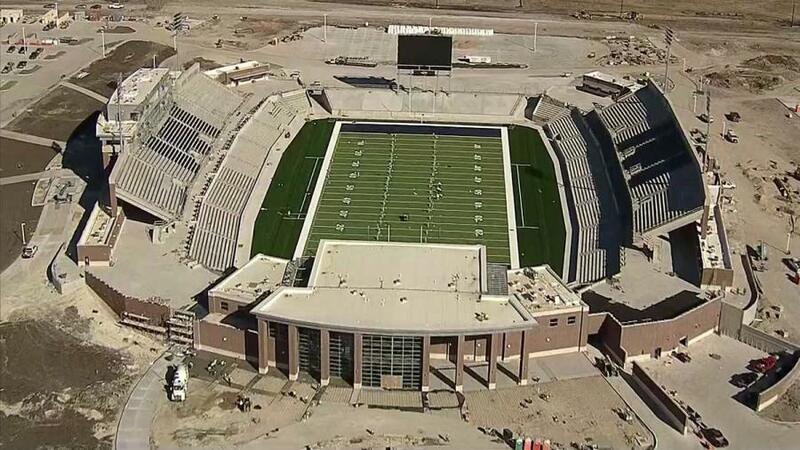 McKinney independent school district officials announced on the last day of May that the concrete and brick structure, which is scheduled to open in time for the 2018 football season, has numerous cracks running through it. The cracking is in both vertical and horizontal surfaces. An examination of the structure by Nelson Forensics of Plano, Tex., quickly produced a preliminary report. It said that, while the cracking is excessive, it apparently does not structurally compromise the facility. On the other hand, Nelson engineers believe the cracks will widen from weather and foot traffic pressures and eventually could become hazardous. In response to the school board announcement, Manhattan Construction has assured McKinney residents and taxpayers that it is committed to quality construction. How much the company statement reassured residents was not immediately clear. But Manhattan Construction and the project architect, Stantec — both Dallas-area firms — have pledged to pay for any repair work that results from the forensics report. It is easy for arm-chair engineers to decry the failure of a contractor or subcontractor to do flawless work. In fact, the construction of large public structures is a magnificent feat of engineering and design. The scale of such projects is what makes them so impressive. Almost anyone can form up, pour and finish a 10-foot by 10-foot concrete slab for a backyard patio. It is a whole other undertaking to form and our deep reinforced concrete footings, structurally sound vertical walls, slanting ceilings, and broad concourses. Thousands of cubic yards of concrete were poured at McKinney and, for the most part, poured successfully. Still, “excessive cracking” is not a good advertisement for quality work. Someone seems to have erred somewhere. Whether the blame lies with the architect or the concrete subcontractor, Greco Structures, is undetermined at this time. Forensics people at McKinney have noted a discrepancy between some stipulated requirements and what actually was done onsite. Stadium drawings call for joints no more than 10 feet apart and at least 1.25 inches deep. However, some joints in the stadium reportedly are 20 feet apart and no deeper than three-quarters of an inch. The bottom line is that McKinney taxpayers and football fans must be underwhelmed by how their premier facility is coming together. They can't be blamed for feeling aggrieved. They've suffered disappointment once already, having to absorb an increase in project costs. The $70 million project originally was expected to cost $62 million. Partly to blame were rising concrete costs. We all have seen concrete floors and walls with smooth, flawless surfaces. Yet cracks are not uncommon. When a crack shows itself in especially impressive structures, laymen tend to say something derogatory about the builder. The fact is, some cracking is acceptable. It really is. The American Society of Concrete Contractors even issued a position paper on the subject in 2010. The paper goes on to say that “when high-strength reinforcing steels are used at high service load stresses, visible cracks should be expected.” It then talks about “reasonable crack width.” Presumably, anything too wide is a defect. The American Concrete Institute specifically says that a deep crack that is wider than a credit card “could be a sign of more serious problems.” It might indicate a foundation is settling. The ACI, is more accepting, however, of non-structural cracks — the cosmetic hairlines that sometimes mar a surface. If a hairline crack isn't widening, isn't apt to develop into a crack that will cause someone to trip, and doesn't collect dirt and other unsanitary materials, the institute's general suggestion is just to live with it. Or if a crack is too ugly to ignore or otherwise is distracting, covering it with a slurry mix is recommended. Whether or not a crack is acceptable ignores the central question: Why does concrete crack? There are several reasons. The leading cause is using a concrete mix that is too heavy on water. Such a disproportionate mix not only weakens the final product, it is likely to cause cracking as the concrete hardens and shrinks. The greater the volume of water, the greater the shrinkage and the greater likelihood it will crack. Conversely, if a concrete pour is air-dried too quickly, it doesn't cure evenly and tends to crack. Or if an improper strength of concrete is used in a pour—different strengths are used in different situations — the concrete does not cure properly and will begins to partition itself. Finally, as previously noted, concrete control joints should be installed at recommended intervals to control the cured-in-place stress. Engineers will get to the bottom of the unfortunate mess at the 12,000-seat McKinney stadium. What sure is annoying to some is that the embarrassing situation is a case of déjà vu. Six years ago, Allen, Tex., fans cheered the opening of 18,000-seat Eagle Stadium. Two years later, the stadium was closed because portions of its concrete were cracking. Nelson Forensics again was called and construction and design features were scrutinized. Not until 2015 was the rehabilitated stadium re-opened. So stadium architects and contractors in Texas had fair warning that building a new stadium will bring a company lots of publicity—but building a stadium with “excessive cracks” in its concrete will bring publicity, too. The wrong kind.